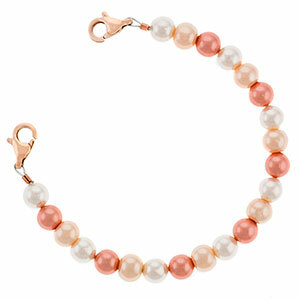 This stunning bracelet will add a little glamour to everyday wear. 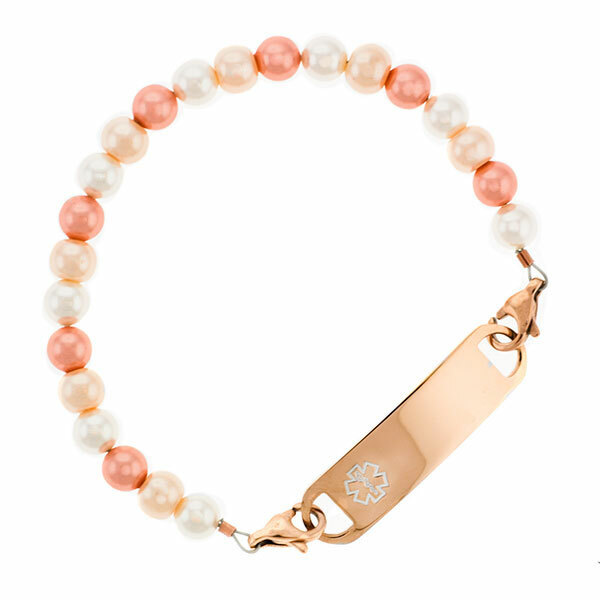 Looks great with our Rose Gold medical id tag. Made of Swarovski Crystal Pearls in shades of Rose. 6mm Bead.